Before I encountered Krav Maga, I was able to test the strengths and weaknesses of the individual systems in more than 35 years of combat experiences and compete with a variety of fighters on 4 continents. 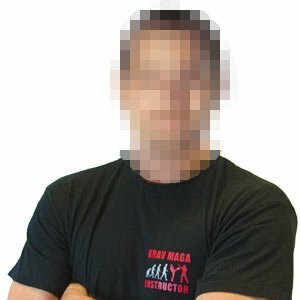 When I came into contact with Krav Maga in 2014, I noticed very quickly – Krav Maga is different. Easy. Effectively. Intuitive. And much better still: I was able to embed, improve and refine my already learned skills from other systems in Krav Maga. For me, it became very clear that the combination of these individual skills by Krav Maga is more than the sum of the individual parts. Sometimes 1 + 1 is more than 2! But that is not all. In all my life, whether it is work or leisure, I usually have one thing: the people you meet. At the Krav Maga Institute, I met an infectious enthusiasm and willingness to perform, which unfortunately has become quite rare in our society today. With the same enthusiasm I met, I am now joining this team. My most important experience in self-defense and combat systems? Height? Not critical! Body weight? Not critical! Gender? Not critical! Will, inner attitude and commitment? Crucial! Train your mind and your body will follow!